Sentience is a research collaboration led by Ricardo, and also involves Jaguar-Land Rover, TRL, Ordnance Survey and Orange Business Services, with part-funding provided by innovITS, the UK centre of excellence for intelligent transport systems and sustainable mobility. 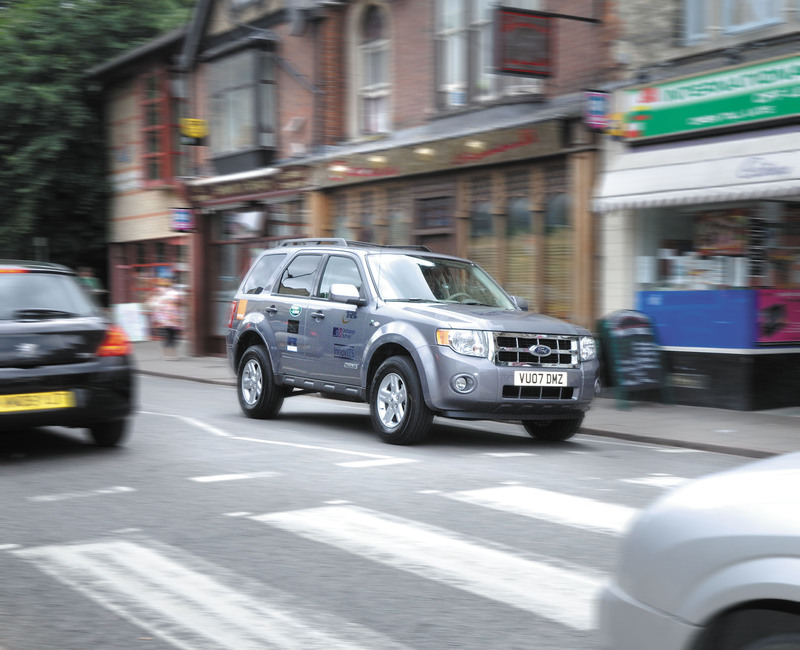 The project team unveiled the Sentience research vehicle - based on a Ford Escape Hybrid - at a press launch in early March 2009. At that time the vehicle exhibited the Enhanced Acceleration/Deceleration (EAD) control strategy, in which the vehicle speed is controlled to meet actual and virtual speed limits using an advanced form of adaptive cruise control linked to the hybrid powertrain system of the vehicle. 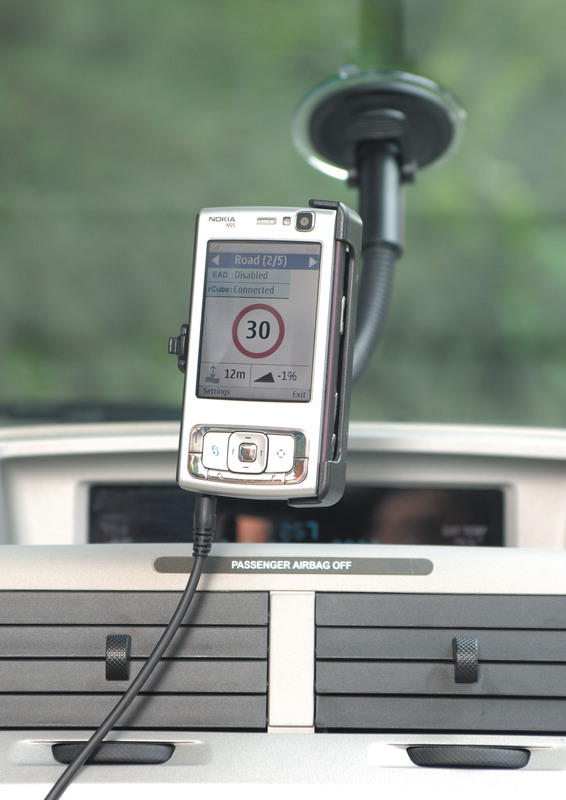 Virtual speed limits are calculated using GPS and mapping data including features such as bends and even speed bumps, as well as less predictable road features including roundabouts and traffic lights. 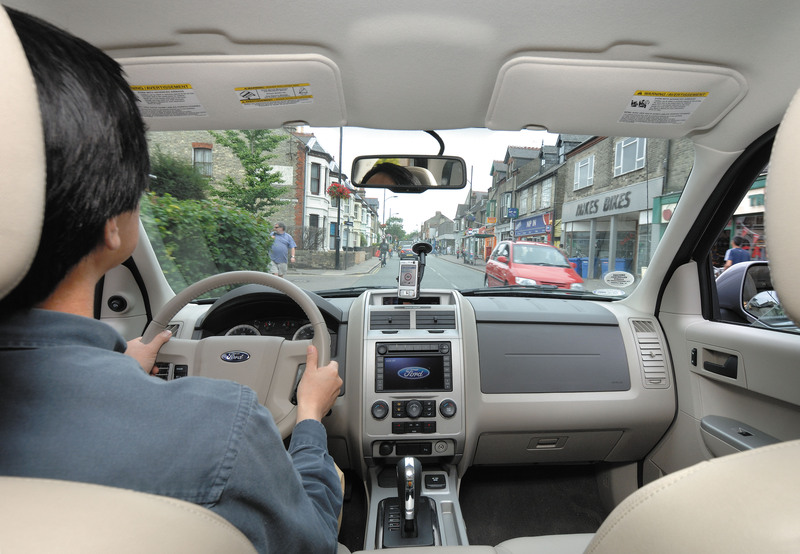 Once EAD is operating, the driver simply steers the vehicle but can at any time, of course, manually over-ride the system if a change of route is required or for safety reasons. Since its initial unveiling, testing and development of the Sentience vehicle has been actively progressed using climatically controlled test facilities at the Ricardo Midlands Technical Centre. A new Enhanced Air Conditioning (EAC) control strategy has now been successfully developed which manages the air conditioning system in parallel with the hybrid powertrain. This is particularly useful in urban traffic with frequent stop/start transitions. In the test vehicle, the air conditioning compressor is driven by the engine so that when the hybrid powertrain operates in electric only mode or the vehicle is stationary, the air conditioning system does not operate. By linking the EAC and powertrain control strategies however, knowledge of when the combustion engine may be stopped allows the system to plan an appropriate and more efficient cooling strategy. Cabin air temperature can thus be maintained within a narrow range while maximising the opportunities for the gasoline engine to switch off - and hence minimising the time that the engine is run solely to drive the air conditioning. The measured fuel saving in summer driving of in excess of 9 per cent is entirely due to the optimised control of the air conditioning system, as this is completely independent of the vehicle's EAD strategy, which could not be used for a defined regulatory drive cycle such as the NEDC. The subject of a Ricardo patent application, the new EAC technology is also highly applicable to all types of hybrid vehicles, including the stop-start systems which are becoming increasingly common. "The Enhanced Air Conditioning (EAC) control system we have announced today is a further very tangible technology breakthrough for the Sentience project, which has already demonstrated the potential synergies to be realised by connecting the existing on-board systems of vehicles with mobile communications and advanced mapping technologies. EAC is highly applicable to a wide range of hybrid vehicle types from simple stop-start systems to plug-in hybrids, and Ricardo will seek to exploit this technology actively in its future client programmes." "Our leading involvement in the Sentience project is yet a further demonstration of the clear focus of Ricardo on the development of next-generation automotive technologies that will help deliver a safer, cleaner and more environmentally sustainable future for transport. The very tangible outcomes of this research also underscore the Ricardo approach of delivering innovations that are capable of production-feasible and commercially successful implementation in future products that are both attractive to customers and environmentally beneficial to society." Ricardo plc: With technical centres and offices in the UK, USA, Germany, the Czech Republic, China, Japan and Korea, Ricardo plc is a leading independent technology provider and strategic consultant to the world's transportation sector industries. The company's engineering expertise ranges from vehicle systems integration, controls, electronics and software development, to the latest driveline and transmission systems and gasoline, diesel, hybrid and fuel cell powertrain technologies. Its customers include the world's major vehicle, engine and transmission manufacturers, tier 1 suppliers and leading motorsport teams. Ricardo is committed to excellence and industry leadership in people, technology and knowledge; approximately 70 per cent of its employees are highly qualified multi-disciplined professional engineers and technicians. A public company, Ricardo plc posted sales of £197.7 million in financial year 2008 and is a constituent of the FTSE techMark 100 index - a group of innovative technology companies listed on the London Stock Exchange. For more information, visit www.ricardo.com.